Join us for Sneakers & Sunrise at the Zoo: A 50 and over walking club! Walk our beautiful pathways, enjoy complimentary coffee in the Carousel Pavilion, socialize with friends, and experience a weekly presentation with our Executive Director. Free coffee social in the Carousel Pavilion. This program is designed for guests who are 50 and over, but we won’t turn anyone away who wants to walk and enjoy the morning air. Admission rates are $5 per session or attend any sessions you want throughout the season for a flat rate of $45. 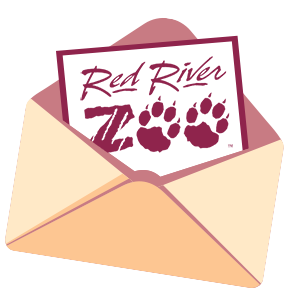 Red River Zoo members receive free admission to this program. Are you already a Zoo member? Bring your friends for the special rate of $3!